Home / غير مصنف / Jacob Rees-Mogg net worth: How much is Rees-Mogg worth? How much does he earn as an MP? Jacob Rees-Mogg net worth: How much is Rees-Mogg worth? How much does he earn as an MP? The outspoken chair of the European Research Group (ERG) rejected the Theresa May’s Brexit draft moments after it was published on Wednesday night. He made it known he had submitted a letter of no-confidence in the Prime Minister to the 1922 Committee, with some 20 more backbenchers following suit. 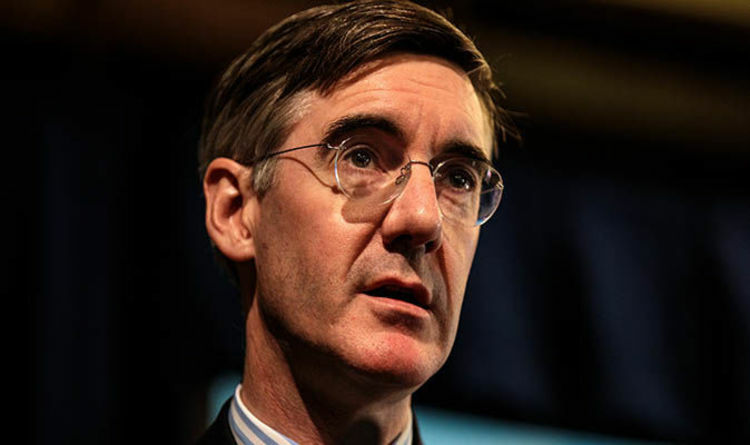 ERG members had previously suggested they would continue to support Mrs May despite differences in policy, but in his letter, Jacob Rees-Mogg suggested she had broken her word. How much does Jacob Rees-Mogg earn as an MP? According to the Independent Parliamentary Standards Authority (IPSA), Mr Rees-Mogg earned £76,011 as an MP for the 2017/2018 year. IPSA is an independent regulatory body which requires MPs costs, expenses, pay and pensions be made available to the public. Before Mr Rees-Mogg entered politics, he had a successful career as an investment banker. After graduating from the University of Oxford in 1991, he worked for the Rothschild investment bank before moving to Hong Kong in 1993 to join Lloyd George Management. Three years later, he returned to London and was put in charge of some of the firm's emerging markets funds and by 2003, was managing a newly established Lloyd George Emerging Markets Fund. In 2007, Mr Rees-Mogg left the company with a number of colleagues to set up their own fund management firm, Somerset Capital Management. Following his election as the Member of Parliament for North East Somerset in 2010, he stepped down as chief executive of the company. However, he continues to receive income in his capacity as a partner. With his wife Helena Anne Beatrix Wentworth Fitzwilliam de Chair, who will inherit a vast sum from her family, Mr Rees-Mogg is said to be worth more than £100 million. READ MORE: What does no-deal Brexit REALLY mean? Somerset Capital Management is managed via subsidiaries in the tax havens of the Cayman Islands and Singapore. Mr Rees-Mogg, 49, has defended offshore tax havens, despite his vast wealth garnering much criticism from the general public who feel he cannot understand the concerns of many ordinary people. Mr Rees-Mogg and his wife are practising Catholic and have six children. Aged between 11 and one, they are named: Peter Theodore Alphege, Mary Anne Charlotte Emma, Thomas Wentworth Somerset Dunstan, Anselm Charles Fitzwilliam, Alfred Wulfric Leyson Pius, Sixtus Dominic Boniface Christopher.